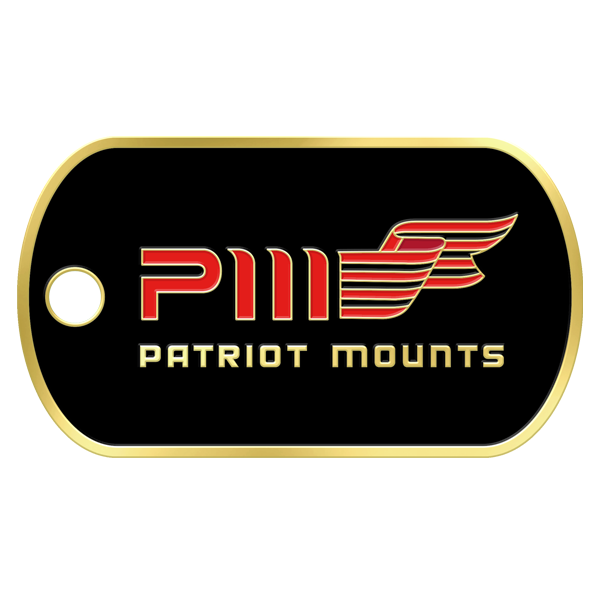 With your order of any Patriot Mount Kit or Patriot Mount Combo Kit, you'll receive this great looking Challange Coin "Dog Tag" Free! 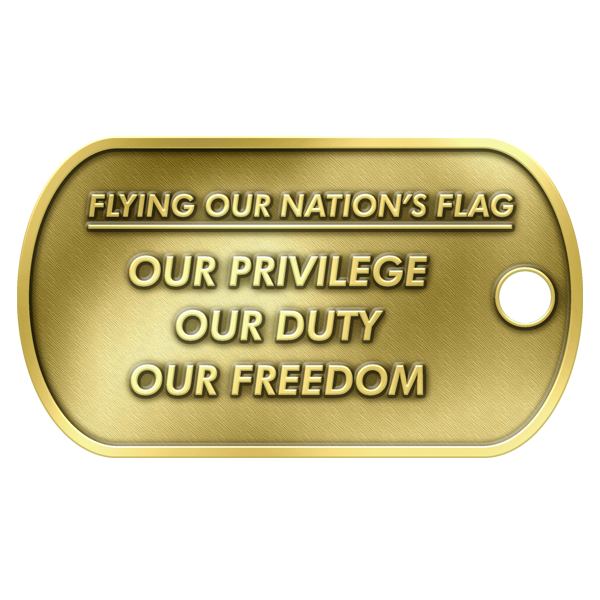 It comes with a HD 1.4" Zinc Metallic Black key ring so if you choose to use as a key fob, others will instantly know how you feel about flying our Nation's Flag! The only 55 MPH highway rated Flag Mount system on the market! Without the drivability issues of other systems & installes in 5-10 minutes. "FREE SHIPPING" to all the lower 48 states! "Two-Up" rider system with O.E. passanger footboards! Marching-Right Hand mount for FLH, FLT, Two Wheeler's, Trikes & Freewheelers 2019-1993. #1776001R - Click "Sale" button to see video! Marching-Left Hand mount for FLH, FLT, Two Wheeler's, Trikes & Freewheelers 2019-2009 / 08-93. See Quick Application Guide. #1776002L - Click "Sale" button to see video! Combo (includes) Left & Right Mounts for FLH, FLT, Two Wheeler's, Trikes & Freewheelers 2019-2009 / 08-93. See Quick Application Guide. #1776012C - Click "Sale" button to see video!